Epilepsy is a chronic disorder with the main symptom being recurrent, unprovoked seizures. This is the fourth most common neurological disorder in the world. If you are wondering what is epilepsy, you should know that it carries the same meaning as ‘seizure disorders’. 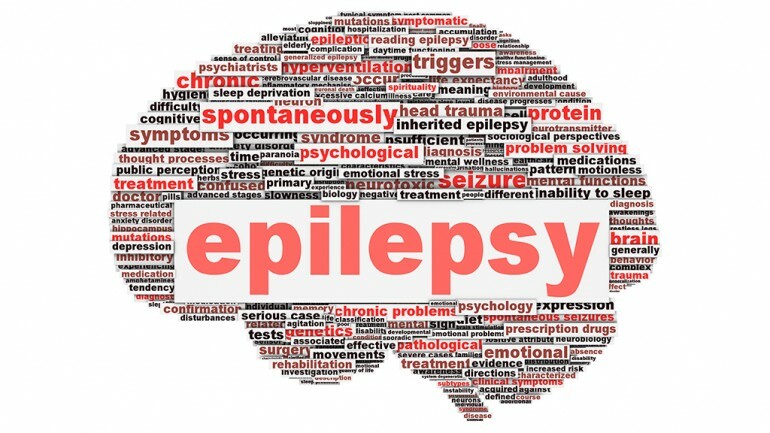 Epilepsy is not only characterized by seizures. It can also be the cause of other health problems. Additionally, it is characterized by many different seizure types. The majority of people diagnosed with this disorder have more than one type of seizure and can also experience other neurological symptoms in the same time. The source of human epilepsy can be found in the brain. However, the epilepsy symptoms may still affect any other part of the body besides the brain. The location of the seizure, the way of spreading and the amount of brain affected are the key factors in the representation of the disease. These factors are the ones that determine the seizure character and the impact it can leave on the individual. Seizures and epilepsy can result in bad effects on the safety, work, relationship and health of the patient. Usually, the biggest problems connected with epilepsy are a result of wrong information shared in the public and improper treatment of people with epilepsy. These can be more serious than the actual seizures. A diagnosis of epilepsy is set if a person has one or more seizures that are not caused by a known medical condition. These seizures may be related to genetics or some kind of a brain injury, but in most epileptic cases, the cause is unknown. Many people mistake these two terms. Seizures and epilepsy is not the same thing. An epileptic seizure can be defined as signs and symptoms that can result from an abnormal synchronous or excessive neural activity. On the other hand, epilepsy is a disease that is characterized with the predisposition to generate these seizures. Therefore, a seizure differs from epilepsy in the sense that it is the disease, whilst seizures are the symptoms and signs of it. A seizure is a sudden brain activity surge that is electrical. . This can usually affect the way person acts or looks for the duration of the seizure When a person is having a seizure, the electrical activity appears as a result of certain chemical changes in the nerve cells. The brain cells can inhibit or excite other brain cells from sending messages. When a seizure occurs, there is limited activity that in term causes an imbalance between the cells that excite and those that stop the messages. These changes lead seizure. The type of seizures can vary according to the lobes of the brain. Different brain lobes control different movements, experiences and behaviors. Generally, about half of the people who have one seizure without any clear cause will have another one within the following six months. People who have a seizure to which the cause is determined and known, such as brain injury or another brain condition, are more likely to have a following seizure than those who don’t. In cases where two seizures have already occurred, the chances of a third one reach 80%. More seizures are also likely to develop in cases where the patient is diagnosed with some abnormalities on a neurological basis. Seizures appear in many forms and affects every individual differently. When seizure occurs, the parts of it are not always visible. Sometimes they cannot be differentiated either. The symptoms and stages are also not common for all patients. The middle of the seizure is referred to as the ictal phase, while the ending is called postictal phase. The first defines the electrical activity of seizure in the brain. The latter is the recovery period that follows after the seizure ends. Some people can recover immediately, while others may need more time to recover. Sometimes this can even be as long as hours. Epileptic seizures have three phases: beginning, middle and end. These parts are not all visible and easy to separate from each other. People may or may not be aware of the beginning of a seizure. Whilst some can feel it hours and even days before it happens, others may experience no warning whatsoever. Prodrome is the phase where people experience feelings or changes in behaviors prior to a seizure. These are not part of the seizure. They are types of warnings that show that a seizure is to happen soon. Not many persons experience or feel these signs, but if they do, they can be great help in informing them and making them change their activities to make sure that they avoid injury. Aura is the first seizure symptom. This is considered to be a seizure part and is often characterized with change in sensation, feeling, thought or behavior. These changes are similar every time that a seizure occurs. However, many people have no aura of warning and their seizures start with loss of awareness or even consciousness. The middle of the seizure is referred to as the ictal phase. This phase is defined as the period from the appearance of the first symptoms to the end of the seizure. Sometimes there are visible symptoms that last longer than the EEG shows. This is because some of the symptoms are not part of the seizure, but some kind of after effects that follow. The symptoms can also be physical and include difficulty talking, inability to swallow, repeated eyes blinking, tremors and jerking movements, rigid muscles, lack of movement, non purposeful movements, convulsion, urine control loss, sweating, dilated pupils, tongue biting, difficulty breathing and heart racing. The postictal phase is the recovery period that comes after the seizure. The type of seizure can greatly impact the recovery period, its duration and what happens while it lasts. Even though this is the ending of seizures, some symptoms are still present. These can include confusion, sleepiness, and memory loss, inability to respond right away, feelings of lightheadedness, depression, sadness, fear and anxiety. Additionally, people in this phase may have injuries such as cuts, broken bones and bruising. They may feel exhausted or suffer from some kind of pain such as headache. You cannot stop someone from having a seizure. Seizures can last for seconds or minutes, depending on their severity and the epilepsy of the person. They have to end on their own. There is no limit on who can develop this disorder. People of every age can be diagnosed with epilepsy. When it comes to the elderly, epilepsy developing is often a result of other health problems such as a heart disease or a stroke. People with epilepsy can handle responsibility, stress and work. They can work in all professions if they simply find a way to manage the stress. This of course, is the case if the stress bothers their seizures. There are certain job types that are not suitable for people with epilepsy. This is usually a result of possible problems related to safety. Otherwise, epilepsy should not affect the job or the responsibility of a person. There is no cure for epilepsy. This is a chronic medical issue that can be treated in most cases. Epilepsy may occur as a single condition or in combination with other conditions. These conditions usually affect the brain and they include intellectual disability, autism, cerebral palsy, Alzheimer’s and traumatic brain injury. Epilepsy is a life threatening disease, so a person can die from it. People do not die from epilepsy often, but this is very possible, especially when it comes to seizures. The most common death cause for epilepsy patients is called SUDEP. This is an acronym for Sudden Unexpected Death in Epilepsy. One out of 1000 people die from this cause every year. However, there is a lot more that needs to be discovered about this cause. The behavior of patients during a seizure is different. However the seizures are stereotypic in most cases. This means that the same behaviors tend to occur in a person who is having a seizure. Epilepsy is a serious disease for which there may or may not be proper treatment. This all depends on the individual who is diagnosed with the disorder. People who suffer from this disease can live a normal life in most cases.